DTR notebook or desktop PC classic? Again and again, buyers are faced with exactly this decision. Opaque processor and graphics card numbers make it difficult for the lovers of individual components. The basic trend that approximates the performance of notebooks and desktops ever holds the possibility in 2012 continues unabated. Even HD video editing or similar demanding applications are handled by high-end performance DTRs with ease. However, there are still areas in which a laptop cannot entirely replace a desktop computer. Most current mobile processors with a TDP of 35 watts or 45, only a few high-end models such as the Core i7-3920XM (55 watts) have an even higher power. Compared with desktop CPUs which are typically in the range between 65 and 130 W, particularly in the leading quad cores works at a significantly lower base clock. Thanks to Turbo Boost technology that provided a temperature range and power consumption of the chip that many modern AMD ( Llano , Trinity ) and Intel processors ( Core i5 , Core i7 ) could do to increase their clock speed automatically within predefined limits. A Core i7-3610QM clocked nominally uses with slow 2.3 GHz for running under load, thereby almost always it is used at 3.1 to 3.3 GHz. The residue on the i7-3770K (desktop) is thus just about 20 percent. Compared with a i7-3720QM or 3820QM , the difference is even smaller, but this is accompanied by a disproportionately rising purchase price. While mobile quad-core processors are almost on the level of performance of their desktop counterparts, there are outrageously expensive with an enthusiast segment and slightly with larger differences. Instead of only 4 cores in i7-3920XM the i7-3960X (desktop) offers equal to its 6 times. Although as the latter is still based on the older Sandy Bridge architecture, this results in an up to 50 percent higher multithreaded performance. With a TDP of 130 watts, this CPU itself is used in heavy DTR notebooks that is hardly suitable (except Schenker XMG U701 ). A typical mobile quad-core processor has a TDP of 45 watts. Due to the often enormous power snappier, desktop graphics cards, the fastest models regularly exceed the 200-watt brand and the corresponding notebook derivatives are usually reduced considerably. Some of those are partially disabled by the manufacturer and only a few shade units are used and reduces the clock speed (GeForce GTX 680 vs. 680M ).In many cases, moreover, even a weaker graphics chip is used (vs. Radeon HD 7970. 7970M ). Total current high-end mobile accelerator comply therewith only performance models from the desktop area, such as the AMD Radeon HD 7850/7870th. Some gaming notebooks like Alienware M18x allow even two graphics cards in CrossFire or uses SLI configuration; this not only doubles the performance, but also increases the consumption of about 200 watts just for the GPUs. As opposed to a PC, grown in a compact notebook it is also hardly possible to this dispose the heat without using a loud cooling system but dissipates with rapidly rotating fans. Even if a PC owned at the same purchase price, will always have the stronger graphics solution that may already have a good mid-range mobile GPU like the GeForce GT 650M represent many games in high to very high settings smoothly. Even stronger hardware pays off only in very demanding titles like Alan Wake, resolutions on HD or quality features enabled (AA, AF). Even notebooks with SLI - available with Crossfire configuration - here is a Alienware M18x with 2x Radeon HD 7970M. Thread memory: Most multimedia devices are limited to 2 memory slots, which allows, in conjunction with 8-GB modules comprises a maximum configuration of 16 GB of RAM. If that is not enough, you should look for larger 17-inch or DTR cars. This often can even have 4 modules installed - at up to 32 GB of main memory and that should be as close to the needs of each user can be covered easily. The memory controller of modern processors should support DDR3-1600 mainly what is in dual channel mode, a theoretical bandwidth of 25.6 GB / s that results to an available desktop-level performance. Major limitations must be taken when selecting the hard disk capacity. In a sufficiently large computer case, a virtually unlimited number of 3.5 - inch drives record up to 4 TB of storage per unit - 2.5 - inch disk for notebooks are at a maximum of 1 TB (height 9.5 mm) available. Depending on the laptop, there is usually only 1 to 2 Bays are covered for the cost per gigabyte of considerably higher price. If you want to store large collections of data, you should look better after a large external hard drive with USB 3.0 connection. If in necessity of higher space instead that include the speed, it can be possible with notebook Buyer: SSDs are already preferred where the 2.5 - inch - or mSATA format offered. By SATA III, standard have a sequential transfer rates of over 500 MB / s (eg OCZ Vertex 4 ) – which is faster, for instance, as in the desktop, only a union of two drives in RAID 0 configuration. Although many notebook manufacturers still to inferior TN panels set with weak viewing angles and low contrasts, at least for low-intensive gaming notebooks rethinking be seen: Increasingly, we find in our tests, high-quality displays, which often even a matte coating. Still, many owners will want to connect their home monitor, which in addition to the analog VGA and digital output is possible via HDMI or DisplayPort. Note: Even if the HDMI standard 1.3 resolutions greater than 1920 x 1200 pixels allows, many accepts only this as DisplayPort monitors! This is generally a software problem, which can be bypassed in certain circumstances with a driver-modification. Fast SSDs in the 2.5 - inch format fit into virtually any notebook. Notebook buyers can look forward to: As close as in 2012 were mobile computer desktops long gone on his heels. This is especially true for the processors used in graphics cards and memory solutions, however, only with minor degradation. For less than 1000 euros you already get models with quad-core CPU and midrange GPU, which can deal easily with current games and complex applications. 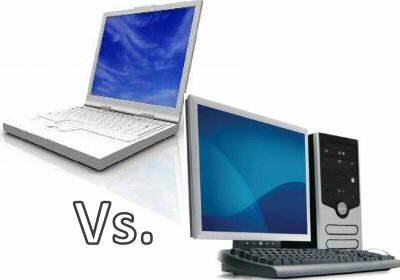 A comparable desktop computer can be even a better choice for a few hundred euros to purchase less, but also has some disadvantages. It requires not only more space but also consumes significantly more power. Thanks to frugal Optimus laptops making with less than 10 watts at idle, even for strong DTRs satisfy about 30 watts. A comparable PC is at least 40 to 60 watts and also reaches under load much faster.